Co-Owners Ryan (L) and Derek Paul (R). 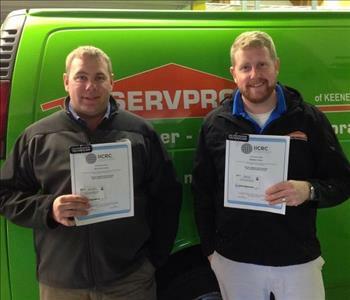 Both Ryan and Derek began working at SERVPRO of Cheshire County, NH during school vacations learning the business from the ground up. Ryan has been a full time employee since 2001 and acts as the company's Operations Manager. Derek has worked full time since 2003 and is the company's Marketing Director. Both carry multiple certifications from IICRC. 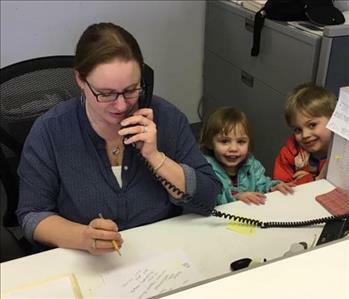 SERVPRO of Cheshire County, NH, and Windham & Windsor Counties, VT has enlisted Anna Paul and Mason Paul to help (Mom) Melissa Paul accommodate the high volume of frozen pipe calls! 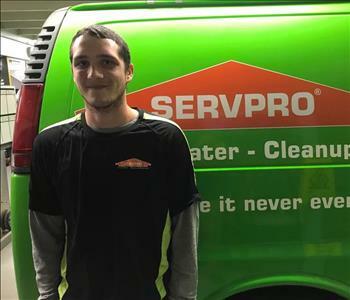 DJ is a technician at SERVPRO of Cheshire County, NH and Windham & Windsor Counties, VT. DJ has been with SERVPRO for 3 years and lives in Westmoreland, NH. 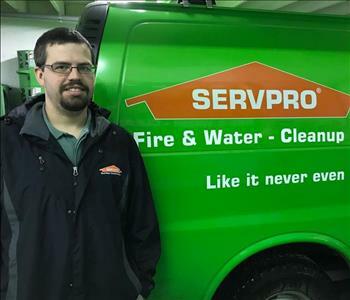 Josh is a technician at SERVPRO of Cheshire County and has been with SERVPRO for 4 years and has the following certification from the Institute of Inspection Cleaning and Restoration Certification (IICRC): Water Restoration Technician. He lives in Harrisville, NH. 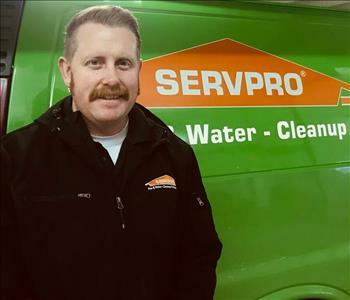 Shane is a technician at SERVPRO of Cheshire County and has been with SERVPRO for 4 years. He lives in Keene, NH. Cory is a Technician at SERVPRO of Cheshire County, NH and Windham & Windsor Counties, VT. 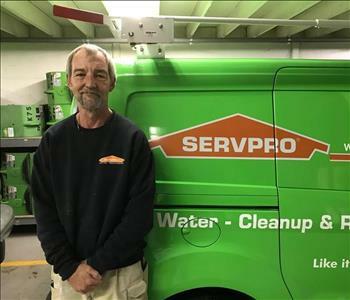 He has been with SERVPRO for 9 years and has the following certification from the Institute of Inspection Cleaning and Restoration Certification (IICRC):Water Restoration Technician. He lives in Keene, NH. 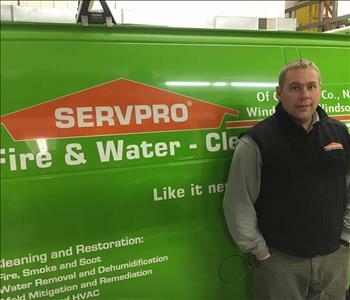 Derek is Owner/Marketing Manager for SERVPRO of Cheshire County, NH and Windham & Windsor Counties, VT. 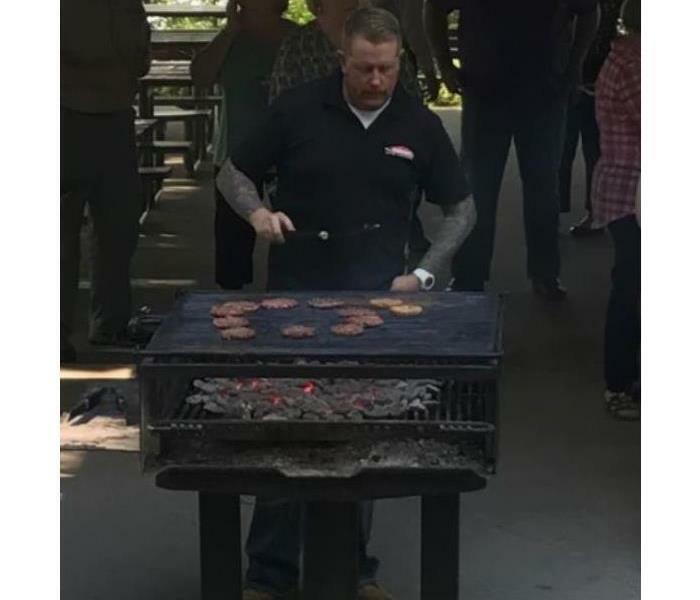 He has been with SERVPRO for 15 years. Derek has the following certifications from the Institute of Inspection Cleaning and Restoration Certification (IICRC):WRT-Water Restoration Technician and SRT: Smoke Restoration Technician. Derek also has OSHA 10-Hour Certification. He lives in Swanzey, NH. Jake is one of the Project Managers at SERVPRO of Cheshire County, NH and Windham & Windsor Counties, VT. He has worked for SERVPRO for 11 years and has the following certification from the Institute of Inspection Cleaning and Restoration Certifications (IICRC): WRT-Water Restoration Technician and SRT-Smoke Restoration Technician. He lives in Fitzwilliam, NH. 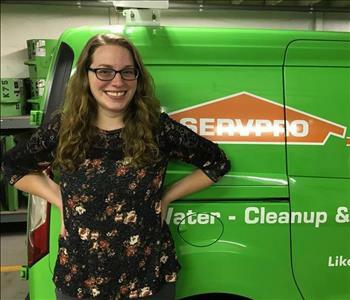 Lexi is a technician and has been with SERVPRO of Cheshire County, NH and Windham & Windsor Counties, VT for 3 years. Lexi currently resides in the town of Westmoreland, NH. 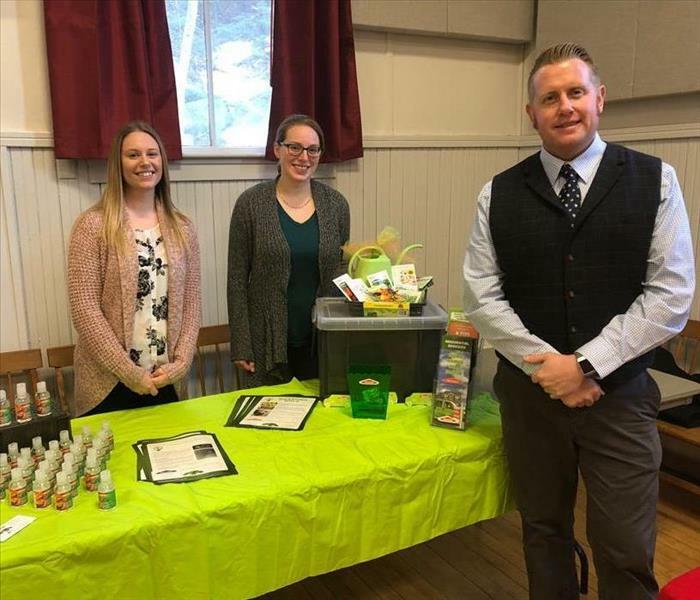 Andrea is the Marketing Manager for SERVPRO of Cheshire County, NH and SERVPRO of Windham and Windsor County, VT. Andrea currently resides in Westmoreland, NH. 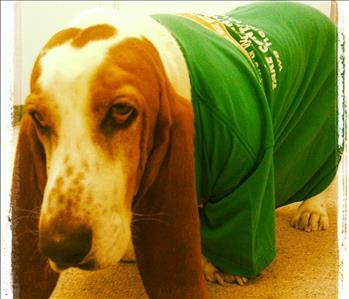 She has been with SERVPRO for 1 year. 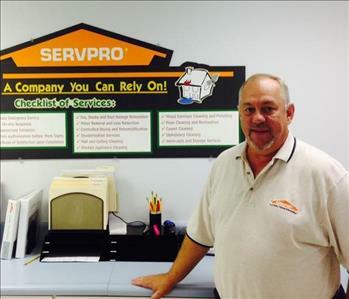 Gary is a Project Manager at SERVPRO of Cheshire County, NH and Windham & Windsor Counties, VT. He has been with SERVPRO for 1 year. Originally from New Ipswich, Gary spent just under two years with his family in South Dakota before relocating back to New Ipswich. Amy is the Administrative Assistant and has been with SERVPRO of Cheshire County for 1 year. Sometimes, her pal Dory comes in to help out! 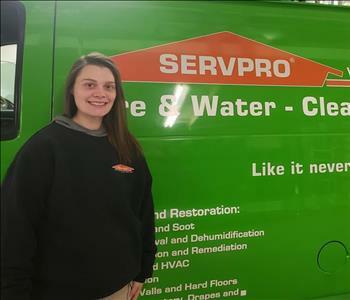 Ashley is a technician here at SERVPRO of Cheshire County. She has been part of the team for 1 year. Ashley lives in Westmoreland, NH and has the following IICRC Certification: Smoke Restoration Technician. 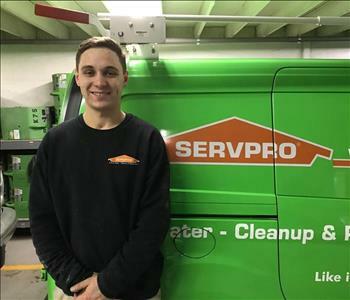 Zack is a technician here at SERVPRO of Cheshire County. Zack has worked with us in the past and we are happy about his recent return! He lives in Keene, NH. 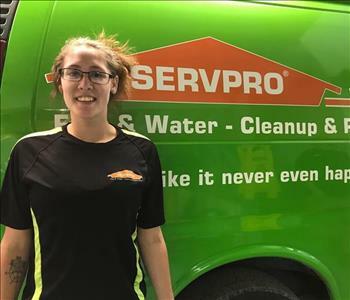 Kim is a technician and has been with SERVPRO of Cheshire County for 1 year. He has the following IICRC Certification: Water Restoration Technician. Kim lives in Winchester, NH. 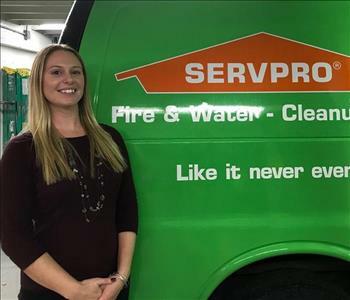 Laura is a Marketing Representative/Support Coordinator here at SERVPRO of Cheshire County. She has been part of the team for 6 months. Laura lives in Westmoreland, NH. 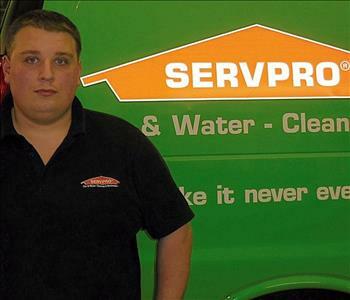 Wil is a technician for SERVPRO of Cheshire County and has been part of the team for 1 year. He has the following IICRC Certification: Water Restoration Technician. Wil lives in Westmoreland, NH.